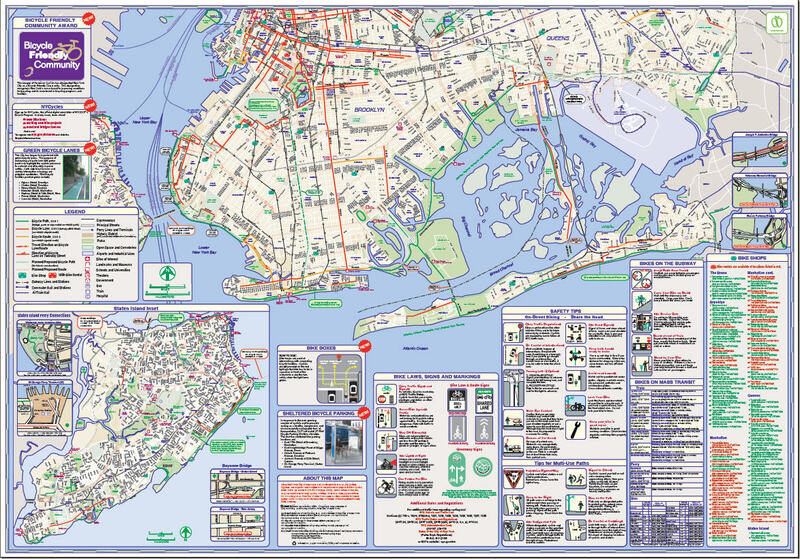 The 2008 edition of the New York City Cycling Map is now available. This paper map is a lot easier to bring on a bike ride than our interactive bike map. 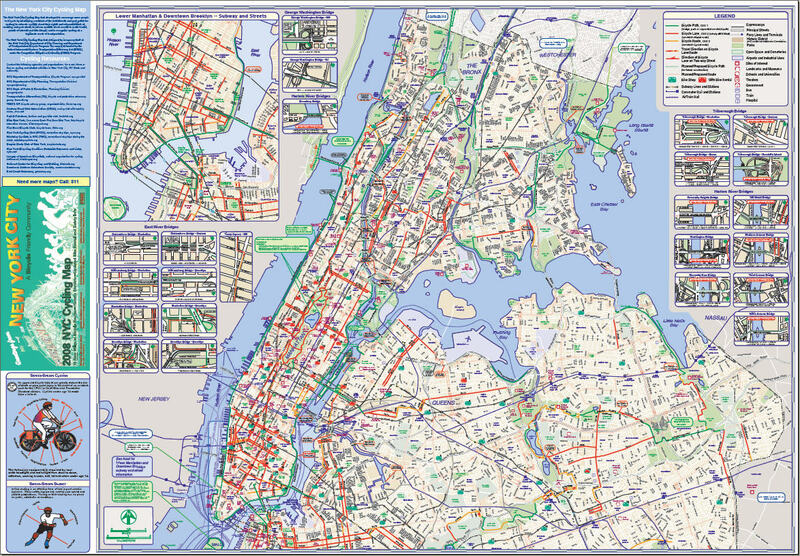 Pick up your copy of the New York City Cycling Map at bike shops, libraries, and schools or by calling 311 (Outside New York City, call 212-NEW-YORK). A pdf version can be downloaded at nyc.gov. Many of the new bike lanes have already been added to this site’s map and the rest should be added soon.